David Zimmel, CEO, Zimmel Associates, the Edison, NJ-based corporate real estate services firm, has brokered the $6.8 million sale of Two Executive Drive, an 83,258 sq. ft. office building located in Somerset, NJ, to The Torsiello Organization, Edison, NJ, a leading construction, development and property management company. The seller is Denholtz Associates, the Matawan, NJ-based real estate management and investment firm. The building is known as Somerset Executive Square II and Zimmel Associates is the exclusive leasing agent. “After Denholtz decided to sell, I presented the building to Anthony Torsiello, principal, as the Torsiello Organization owns 100 Davidson Ave., a nearby office building, and I thought Two Executive Drive could be an attractive and synergistic addition to their portfolio of quality properties,” says Zimmel. Recent upgrades to the building include a beautiful lobby renovation and revamped elevator interiors. Currently 10,000 sq. ft. is available, with units as small as 2,000 sq. ft. and up. 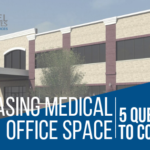 The Torsiello Organization has named Zimmel Associates the exclusive leasing agent for Two Executive Dr. “We look forward to continuing to market the building and value our relationships with Denholtz Associates and The Torsiello Organization,” says Zimmel. Two Executive Drive is located on five acres directly adjacent to The Somerset Marriott Hotel and is within walking distance of a major conference center. Banks, restaurants and shopping are all nearby. It offers direct access to I-287, as well as easy access to Routes 22, 202, 206, I-78, the New Jersey Turnpike and the Garden State Parkway. You have put in the hard work, and now it is time to expand!